Everything has its season. At least that’s how Junior Fatupatio’s life has always been. 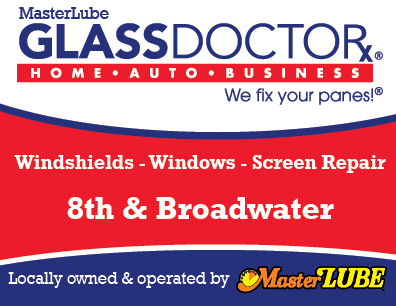 Junior is a MasterLube alum, and these days he’s every bit as busy as he was when he managed the location on 8th and Broadwater or worked as a technician in the Heights. He’s a stay-at-home father, and spends his days with his sons Tahuna, 13, and Kailua, 12, and daughters Sina, 5, and Olina, 3. On school days, he’s getting everyone ready, packing lunches, and shuttling the boys to Medicine Crow Middle School. Then it’s off to take Sina to preschool, and then home again with little Olina. He retraces his route in the afternoon, sometimes twice to accommodate Tahuna’s sports practices and Kailua’s violin lessons, then he’s helping the boys with their homework. Summers are a little more laid back, but no less busy. When Olina was born, Junior and his wife Bethany were looking at $1,500 a month childcare costs. Considering the ages of their children, and how precious their formative years are, Junior and Bethany decided Junior would leave MasterLube to stay home with the kids. Junior had the full support of the management team as well as his co-workers when he decided to leave. Everyone who knew Junior knew his family was his number one focus. “They want you to do good at whatever you set your mind to do, and I think I have done that,” Junior said. A few weeks ago, Junior and his girls went to an event at Skyview High where Sina and Olina were introduced to a wide variety of musical instruments. Sina came home telling everyone she wanted to play the xylophone. “I get to do these little things that other parents might not have the chance to do,” he said. Junior is still contributing to the household income working nights for UPS. He works from about 6:30 to midnight. At times, Junior and Bethany go days sharing just a quick handoff as she comes home from work and he leaves. Still, the arrangement is working well, Junior said. “It’s not easy, but it’s only temporary,” he added. The family’s faith and commitment to God has provided them with the strength they need for this season. They fellowship at Harvest Church, and Junior said his time at Sunday service recharges him after a long week. 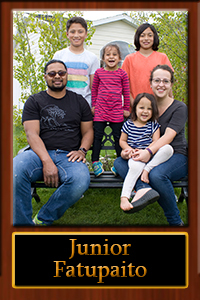 Junior will return to full-time work when Olina goes to school and there’s more flexibility in the family schedule. He’s not sure what he will do, but has his sights set on eventually owning his own business. He’d like to learn to fly and get his pilot’s license as well.